Dreams and Drama: Know Me? This is a very very long due post. 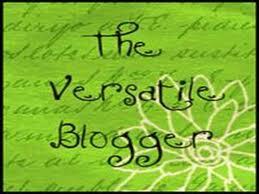 I have been tagged and awarded by some of my very loved and cherished bloggy friends. And I never got to thank them for the same. (Bad bad , girl, you!!). A big thanks to all of you rocking people - Pradeeta, Ste, Me and Crystal for passing on such lovely awards and tagging me. Pradeeta and Ste have passed on the versatile award to me. Thank you so very much, you two. You have been great friends. Introducing pro bloggers like these two wouldn't be required, everybody on the blogsphere knows these two!!. They have done guest posts for me,you can check them here and here. 3. Pass it on to your fellow bloggers. 4. State 7 random facts about you. 2) Books used to be my life for a very long time but now, sad as ever am losing interest in them. I still do read but not as much as I would have loved to *sigh*. But then I have started to read more blogs these days, so it sort of compensates the loss in book reading. 3) My favorite color is Royal Blue. 4) I have this habit of reading the lyrics of a song first and then listening to them ( I mean some song somebody recommended). 5) Once I see a movie and like it, I go digging about its trivia, dialogues, goofs and all sorts of stuff related to it in IMDB. 6) I have an obsession for shoes and they are the first things I notice on anybody I meet for the first time. 1. What is the meaning of your name? Are you happy with it ? , If not then would you like to change it and to what? Ans. Swarnali translates to "the bright of gold" or "the golden color that envelops the horizon during sunset "(according to the Hindu name dictionary). Fancy name!! Nope, it has nothing to do with "swar" or music and I can't sing either. I don't like it...its too longish. I like names which are shorter. I wanted a name starting with "J"...I have an obsession with that letter. But well, am never gonna change the present one. 2. What is life if full of care? Ans. Too mushy and no fun. 3. So among Tom and Jerry whom do you support considering the actions of both.? 4. If stranded alone in an Island with the one you love, then what will you carry with you? Why? could save only one, who would you save? why? Ans. First I would have to see if am in a position to save anybody or not. Then maybe I'll try to save the one I love. Basic instincts, brain will hardly work in that case. 6. What are your goals in life? 7. Do you have any regrets in life? Ans. Nope , none. I don't believe in living life on regrets or what ifs. If I did something wrong in the past, it was because I thought it was right at that moment, so no regrets. 8. One thing which you could change from your past or present? Ans. Nothing. Everything that happened to me in the past is what has made me who I am at present and I wouldn't want to change it. 9. What do you write? 10. What do you think about me? 11. Tell us 3 things about you that we don’t know, 3 things that would take us all completely by surprise? Me had done a guest post for me this June. Check it out here. Now over to the questions they asked me. 1) If you could have any superpower, what would it be? 2)What was your favourite childhood television program? 3) Have / had any celebrity crushes ? 4) If you could visit anywhere in the world, where would you go? 5) Name 1 thing you miss about being a child. Ans. Naivety and the right to do all sorts of foolish stuff without being embarrassed about it. I haven’t been really happy about growing up anyway. 6) Name the one comic/book character that you loved the most and why? 7) What is the one thing that you are dying to try but haven’t had a chance to do so yet ? 8) Do you have a role model – someone you want to emulate? Whom do you admire the most? Ans. I have always admired Swami Vivekananda since my childhood and I still do. I wish I could achieve that “peace with yourself” state someday. 9) What do others make of you? Ans. Umm…I dunno. Now, please do me a favour and write your opinions in the comment section. 10) Have you ever gotten into a fight or punched someone ? 11) For Girls – If you woke up tomorrow to find out you are Brad Pitt, what would be the first thing you’d say upon looking in the mirror??? 12) Is there anything, that others complain about you..? 1.) What's something your Mom always said to you that you thought you'd never hear yourself say? Ans. - Umm...its not something she says in particular but she has this very irritating habit of reminding me of some glorious goof ups I did in the past that I don't wish to do when I reach her age. 2.) What's your favorite childhood story and why? Ans. - It is the first book I read. Enid Blyton's The Naughtiest Girl , because I have always identified a lot with the protagonist Elizabeth. 3.) How would others describe your personality? 4.) What kind of music do you like to listen to? Ans. - All kinds, I don't have a favorite genre when it comes to music, it depends on my state of mind. For most times, I listen to Rock (not the metallic ones, the mellower ones), RnB and Pop. 5.) What is your favorite song of all time? Ans. - It used to be I wanna grow old with you by Westside for a long long time but now it keeps changing with every second. Currently hooked to Poets of the Fall. Their "Desire" (from Carnival of Rust) is playing in my mind for the past few weeks. 6.) Do you have a big intellectual capacity and do you think that it alone equates wisdom? Yes or no and why? Ans. - Big intellectual capacity, umm...that is a little vague...how big? Saying that, I like to believe that I learn things pretty fast and retain them for quite some time (but I also suffer from occasional short term memory losses). Does that mean I have a big intellectual capacity? I think wisdom comes from many things - intellect , age and a lot of experience.. So, no, just intellect doesn’t equate wisdom for me. 7.) If you could create a charitable organization, what would you hope to accomplish and to whom would the proceeds benefit the most? Ans. - I had always wanted to research on Cancer and since I couldn't do it myself , I would donate part of my money (when I start earning) to a cancer research institute. 8.) How do you deal with stress? Ans. - I get stressed very fast and when I do, I call up a friend and rant and rant till my mouth gets tired (which is rarely the case :P). Well, that does the job :D . Or at other times I just walk back and forth on my terrace and listen to very loud music. 9.) What's your favorite movie? Ans. - Amelie (French) starring the extremely versatile and talented, Audrey Tautou. It is actually very hard for somebody like me to choose one favorite but yes, that is one film which I have seen a million times and never got bored. 10.) Have you read any good books lately? Which ones? Ans. - The last book I read and reviewed here, The Terrorist by Juggi Bhasin. It was really good. 11.) If you could tell the world just one thing, what would it be and why? Ans. - Live and let live. People seem to forget that these days. Passing on the award to 12 amazing bloggers I have known for a while and some I know for the last couple of weeks. Me, Crystal, Sayani, Debi, Ayantika, Fab, Uparna, Anupriya, Sayantani, Sohini , Zeebz and Aditi Ray. 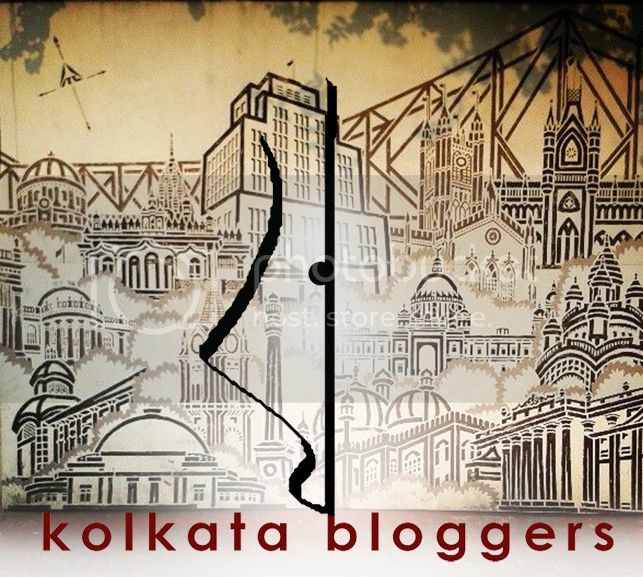 P.S.- I did a guest post for my dear Pradeeta, you can give it a look here. Firstly it was sheer pleasure knowing someone as wonderful as you...liked your candid responses and the honesty which reflected in each one of them. Well, I think of you as a warm, loving girl who is full of life, writes brilliant poetry, dreams crazy stuff, loves n lives every moment of life with full zest and loves spreading smiles to everyone she comes across in person or through blogs. Thanx sweetheart......<3 loads of love and hugs to you too! we have quite a few things in common..congrtas and thank you for the award!!! i used to be the major trivia hunter!imdb soon started disappointing me since it had very little info about the rare mmovies i started watching like a jukie..that was something that made me realise i had to go for this field only to learn every background detail about the cast and crew. heylllozz! congrats for the awards.! n yes coming to the random facts..1st thing to notice..yeah me too..SHOES! they speak so much about the personality of a person. N yes pass time -translating to hindi..hahaha tht was hilarious..! Congrats on your blog awards! I think royal blue is my fave color as well. And I also do the same thing with movies that I really love...I want to know so much more about them! Sorry for the late response, but THANK YOU!!!!! You are a sweetie pie to nominate me!! Looks like we have more in common than just Garfield and Bones :-) I also love checking out trivia of movies and even TV shows!! And of course, Hugh Jackman is one my list of faves! !